I dunno bout you, but jewellery wise these days. I much prefer pretty dainty pieces, small ear studs and fine chained necklaces. rather then the dangly ear rings and chunky statement neck pieces of the past. So when I discovered the gorgeous Ear piercing jewellery at Body jewellery shop, I was so excited to try a couple of bits. 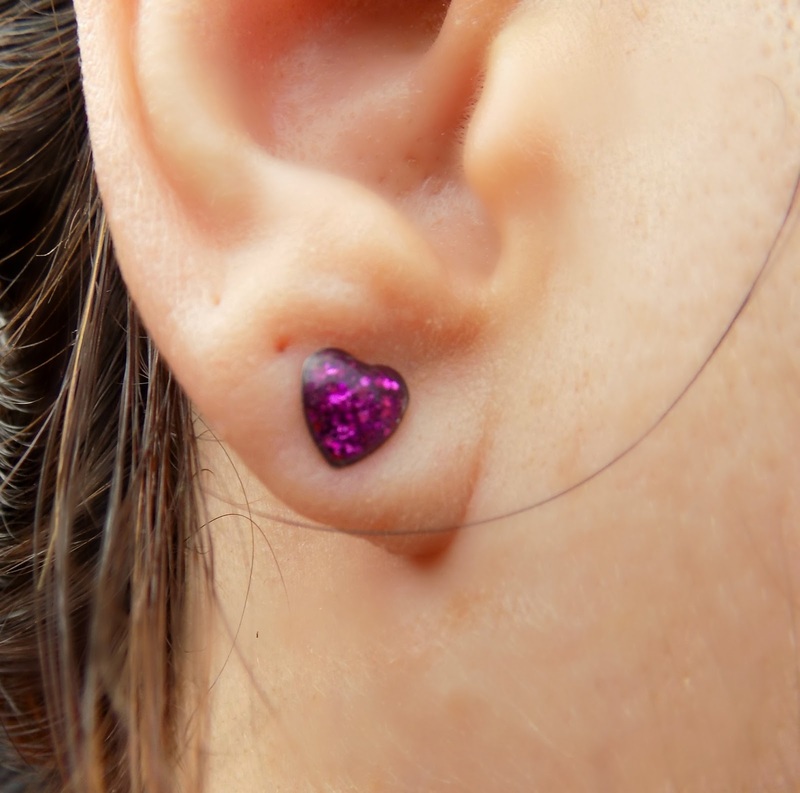 I decided to choose 2 pairs firstly heart glitterline black studs* and also the heart glitterline purple studs* both of which are really pretty and have the added bonus of being stainless steel so none of that making your ears sore or turn green marlarky! I think these are really nice everyday ear studs you can just put in and forget about, and are great for people who are not aloud to wear dangly ear rings at work or school or for anyone like me that just prefers more subtle pieces. 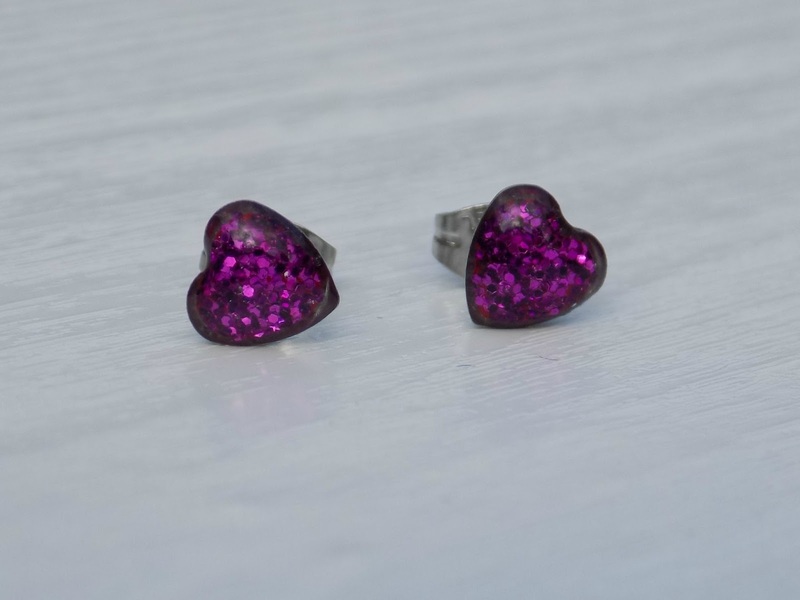 What I loved about the body jewellery shop is they don't just cater for your bog standard ear piercing they sell jewellery for all parts of the body and its clearly labelled with not just the name of the piercing but also with the part of the body, so know confusion about ordering the wrong thing. I have my nose and belly pierced as well as my ears so will defo be checking out those on there as its hard to find good quality body jewellery at an affordable price. 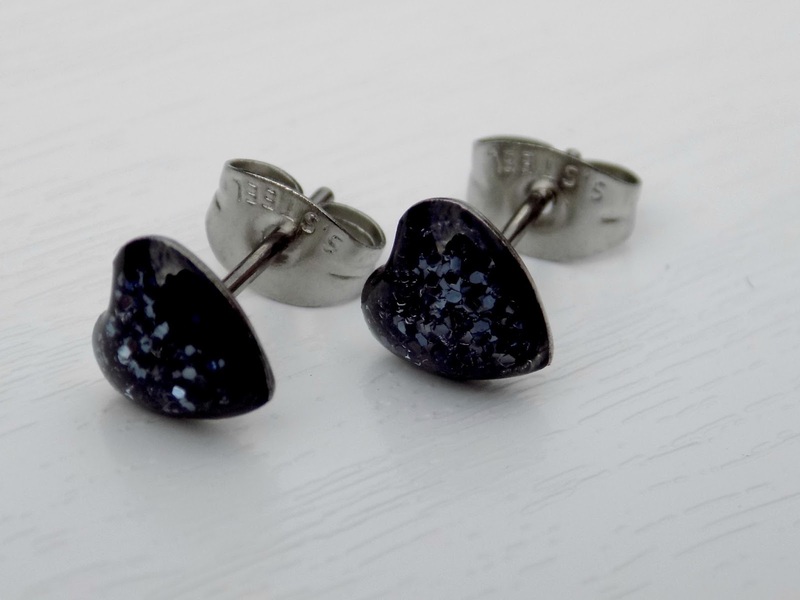 What do you think to these little studs? Aww they're so cute!! The purple ones are lovely. 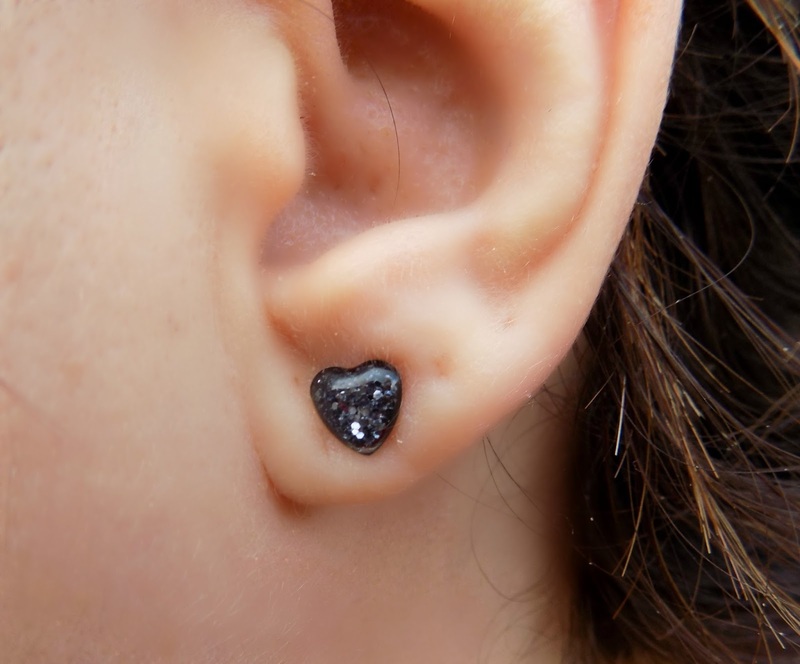 Cute earrings! I can't help but wonder how you took these photos. I can never come up with photos as detailed and as sharp as those!